The purpose of Svartådalens Rural Development is to create an organization that can work to behold a living and attractive countryside. Jobs, health care, business, schools, infrastructure, energy and tourism in combination with agriculture and the rural nature. 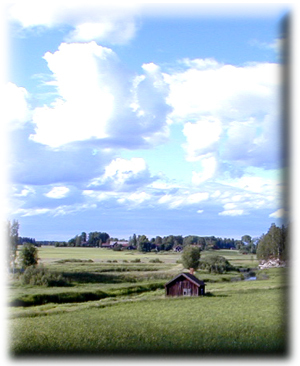 Svartådalens Rural development is a business association that was formed 20 February 2002. The aim is to create a democratic platform to work on rural development in the parishes Västerfärnebo and Fläckebo . Svartådalens wetlands are classified as internationally important for a number of migratory birds and is part of the EU network of valuable nature areas: Natura 2000, and is designated as Ramsar site of the International Wetlands Convention. Svartådalen is really stunning with its open surroundings-, wetlands-, meadows-, and forest covering this area. The small river “Svartån” flows slowly and is responsible for regular flooding. In the spring passes many different species of birds on their way north. Land and forest beside tje lakes “Hällsjön”, “Rörbosjön”, “Fläckjön” and lake “Gussjön” are popular breeding grounds for these migratory birds. From te first ice melting until the first week of April passes about 20000-25000 whooper swans. Svartådalen is classified as an internationally important resting site for the whooper swans. During summer 2014 was our region affected by Sweden’s largest wildfire in modern history. It encompassed over 15,000 hectares and was located northwest of Sala in a big part of our region in Svartådalen. The wildfire threatened also the local citizens, farmers, villages, businesses and even the UNESCO World Heritage Site Engelsberg Ironworks.